Nokia Lumia 525 is here to add more style and more fun to your life. 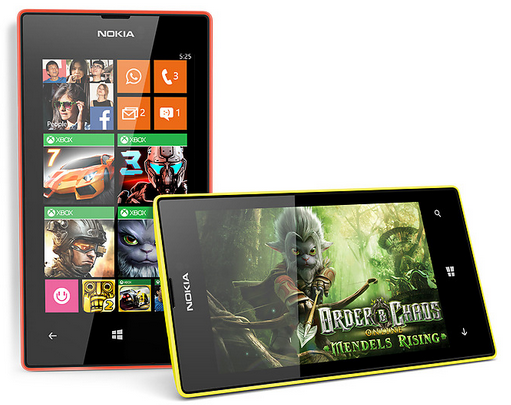 The Nokia Lumia 525 features are outstanidng and add more to your entertainment. With a 4 Inches IPS touchscreen and LCD technology, Nokia Lumia 525 is a hyper sensitive and delicate phone that even you can operate the screen with fingernails also. It makes the whole functioning of the phone very convenient and easy. With a WVGA resolution of 800x 480 Pixels and a Pixel density of 235 ppi, the whole experience of viewing your images, videos and movies is just wonderful. 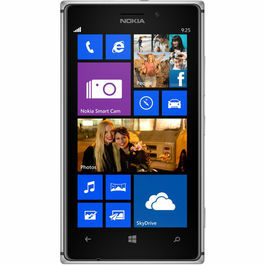 Nokia Lumia 525 is a Windows 8 Phone having a powerful Qualcomm Snapdragon S4 Processor. This robust combination gives a hassle free and smooth functioning to the phone while surfing internet and various other functions. 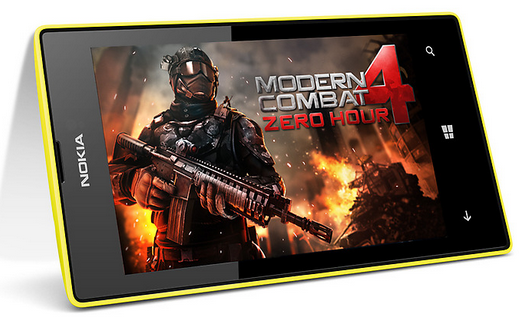 The phone gives you a new level of gaming experience with it's free HD games. On buying your new Nokia Lumia 525 from an authorised Nokia store during the offer period you will get free Gameloft of worth Rs. 2025. Nokia Lumia 525 features a whole range of marvellous camera features, it has a stupendous 5 MP primary camera with auto focus and a digital zoom of 4x that captures images in JPEG/ Exif formats. The phone has superb Photography apps like Nokia Smart Camera, Cinemagraph, PhotBeamer, Panoroma that shoots sequences of photos, making it easier to capture your precious moments. It gives a strobe effect to emphasize motion, removes unwanted objects and gives a life to your photographs by it's various apps. 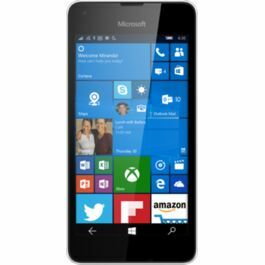 Get the high quality sound with classy music features of Nokia Lumia 525, it has Nokia Mix Radio, Music Player, Podcasts, Cloud music playback, MP3 Player and a whole array of multimedia features that is going to give you musical treat always. Now storage is no more an issue with new Nokia Lumia 525 as it has a capable 1 GB RAM and 8 GB internal memory. To stock more apps, more games you can expand the memory up to 64 GB with microSD card and have more fun and adventure. 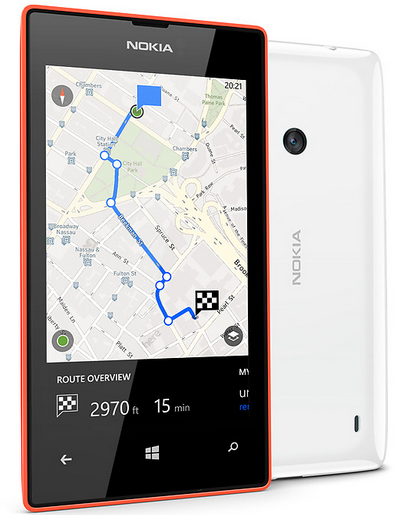 With Nokia Lumia 525 Now navigate and discover the new ways with HERE apps. Here map gives you a turn-by-turn guidance while you are driving and tells you about the most convenient transport mediums while you are travelling. Always stay updated with the latest happenings around you with Live Tiles which updates you on your start screen itself. You can synchronise your phone, PC, tablet with free storage space on Microsoft SkyDrive. Nokia Lumia 525 has built-in Word, Power-point, Outlook and Excel that always keep going professionally. 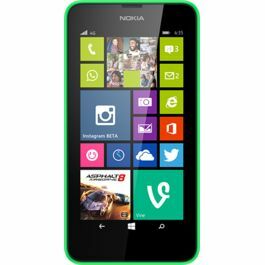 Nokia Lumia mobiles has a powerful battery and Lumia 525 has a battery capacity of 1430 mAh and holds a battery Voltage of 3.7 V. It gives a maximum standby talk time of 14 days and maximum talk time in 3G network up to 10.6 hours. 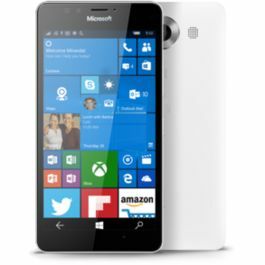 Buy Nokia Lumia 525 at a pocket friendly price now. 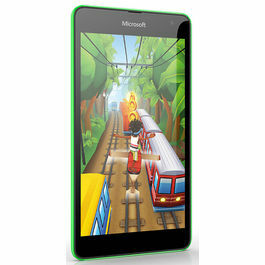 Check out Nokia Lumia 630 Dual Sim and their classy features. 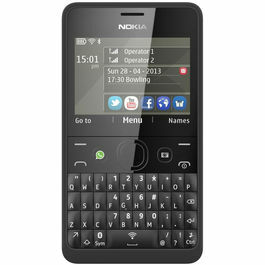 Explore more on Nokia Mobiles. Check out other mobile phones with excellent features & technology. Nokia Lumia 525 is here to add more style and more fun to your life. 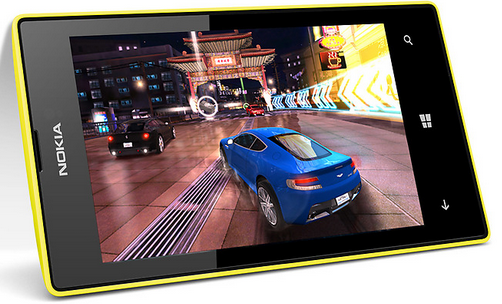 The Nokia Lumia 525 features are outstanidng and add more to your entertainment. Super-Sensitive ScreenWith a 4 Inches IPS touchscreen and LCD technology, Nokia Lumia 525 is a hyper sensitive and delicate phone that even you can operate the screen with fingernails also. It makes the whole functioning of the phone very convenient and easy. With a WVGA resolution of 800x 480 Pixels and a Pixel density of 235 ppi, the whole experience of viewing your images, videos and movies is just wonderful.Operating SystemNokia Lumia 525 is a Windows 8 Phone having a powerful Qualcomm Snapdragon S4 Processor. This robust combination gives a hassle free and smooth functioning to the phone while surfing internet and various other functions.Free Gameloft GamesThe phone gives you a new level of gaming experience with it's free HD games. On buying your new Nokia Lumia 525 from an authorised Nokia store during the offer period you will get free Gameloft of worth Rs. 2025.Superb CameraNokia Lumia 525 features a whole range of marvellous camera features, it has a stupendous 5 MP primary camera with auto focus and a digital zoom of 4x that captures images in JPEG/ Exif formats. The phone has superb Photography apps like Nokia Smart Camera, Cinemagraph, PhotBeamer, Panoroma that shoots sequences of photos, making it easier to capture your precious moments. It gives a strobe effect to emphasize motion, removes unwanted objects and gives a life to your photographs by it's various apps.MultimediaGet the high quality sound with classy music features of Nokia Lumia 525, it has Nokia Mix Radio, Music Player, Podcasts, Cloud music playback, MP3 Player and a whole array of multimedia features that is going to give you musical treat always.Bigger on the InsideNow storage is no more an issue with new Nokia Lumia 525 as it has a capable 1 GB RAM and 8 GB internal memory. To stock more apps, more games you can expand the memory up to 64 GB with microSD card and have more fun and adventure.Your Next Adventure is Just Round the CornerWith Nokia Lumia 525 Now navigate and discover the new ways with HERE apps. Here map gives you a turn-by-turn guidance while you are driving and tells you about the most convenient transport mediums while you are travelling.See Your World at a Glance with Windows Phone 8Always stay updated with the latest happenings around you with Live Tiles which updates you on your start screen itself. You can synchronise your phone, PC, tablet with free storage space on Microsoft SkyDrive. 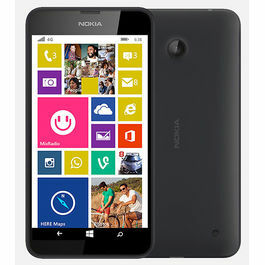 Nokia Lumia 525 has built-in Word, Power-point, Outlook and Excel that always keep going professionally.BatteryNokia Lumia mobiles has a powerful battery and Lumia 525 has a battery capacity of 1430 mAh and holds a battery Voltage of 3.7 V. It gives a maximum standby talk time of 14 days and maximum talk time in 3G network up to 10.6 hours. 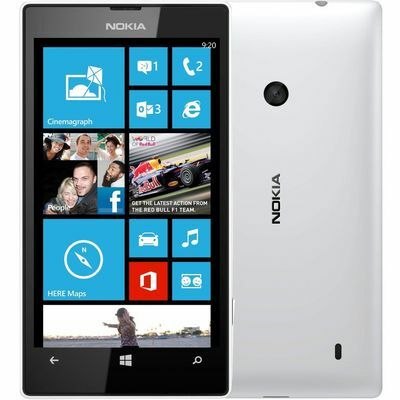 Buy Nokia Lumia 525 at a pocket friendly price now. 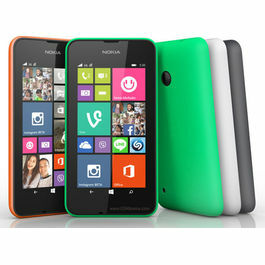 Check out Nokia Lumia 630 Dual Sim and their classy features.Explore more on Nokia Mobiles. Check out other mobile phones with excellent features & technology. Nokia Smart Camera Shoots a sequence of photos, making it easier to capture great moments. Choose your Best Shot or combine the photos into one picture, make a strobe effect to emphasize motion, remove unwanted objects or choose the best faces for great group shots. Cinemagraph A magical blend of photo and movie-like animation, creating pictures that seem almost alive. Helpful on-screen assistance lets you select the animated area of your picture and easily create and edit a cinemagraph. You can share your cinemagraph with friends via social media, email and messaging. PhotoBeamer PhotoBeamer is an innovative and easy way to show your pictures on any screen. Point your Nokia Lumia at any screen displaying www.photobeamer.com and enjoy your photos anywhere with family and friends. It's a mobile projector that's always at hand. Panorama Get the bigger picture with Nokia�â��s easy-to-use Panorama app. Simply take your pictures and the app automatically stitches them into a picture-perfect view. Once you�â��re done, share your panorama directly to Twitter and Facebook. Nokia MixRadio Imagine a radio station where every track is chosen just for you, from music you love and music you�â��ll want to discover. Meet Nokia MixRadio �â�� we bring you free streamed mixes of music created to your personal taste that you just click and play. No subscription and no advertising, just great music everyday. HERE Drive Navigate safely with free regional voice-guided directions and true offline support. HERE Drive features audible speed limit warnings, dedicated dashboard and commute assistance. Save and access favourite places on any HERE app and on here.com.